Listed on Government's Approved Product List. Pragma's SSH Server is utilized to connect users to SAP console by over two million nodes to several thousand customers globally. The installation, configuration and connectivity speed represents the best in class solution available on the market today. Implement Pragma's SSH or Telnet Server solution across any IBM server, including the x3650 offering, for smooth and flawless interoperability, functionality, and superior performance. 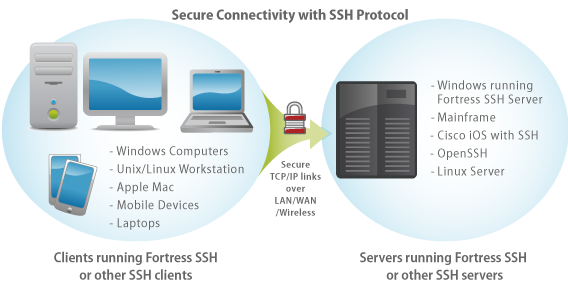 Pragma SSH Server is the choice for companies who value reliability, security, ease of use, performance, and time. Try it free for 14 days and experience the difference. Unlike open source alternatives, which are not designed for enterprise use, our SFTP server works seamlessly out of the box, contains a robust feature set, scales to accommodate more than 1000 concurrent sessions, and is customizable to meet your unique environmental and application needs.